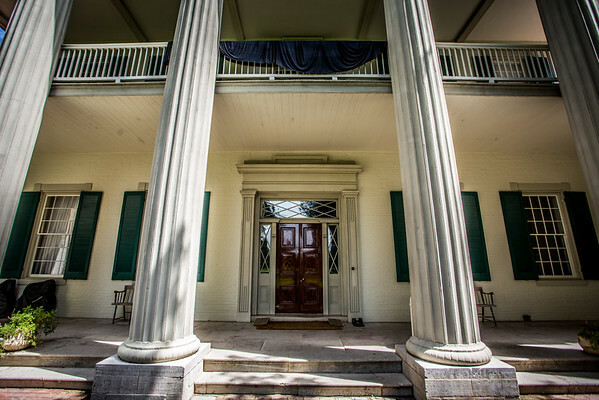 When you take the tour of the Hermitage you will probably wait out in front of the house for your chance to walk through it. While you do you have some very knowledgeable people that will give you some early details about the house. The volunteers at a place like this usually really love their subject so it is fun to listen to them talk about it. The gentleman who was talking to us really had some good stories to tell, and you could tell that he really had been doing this for a long time. Sometimes the best part of the trip is the details that you get from people like this. I made this photo while listening to one of those stories, and I think the story informs my opinion of this photo. This past year I finally made my way to the Hermitage just outside of Nashville, Tennessee. The trip was originally supposed to be a part of a trip to see a Purdue football bowl game in 2006. I ended up leaving much later than I was supposed to so I had to scratch some things from my plan. The Jackson home was one of the first things to get cut as it was early on in the trip. I wanted to get closer to my destination before making any stops. It was nice to get out and finally cross this off of my list.